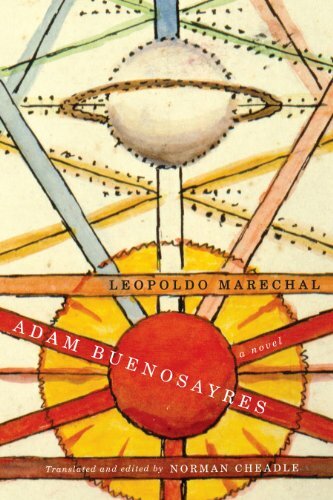 "A modernist urban novel in the tradition of James Joyce, Adam Buenosayres is a tour-de-force that does for Buenos Aires what Carlos Fuentes did for Mexico City - chronicles a city teeming with life in all its clever and crass, rude and intelligent forms. Employing a range of literary styles and a variety of voices, Leopoldo Marechal parodies and celebrates Argentina's most brilliant literary and artistic generation, the martinfierristas of the 1920s, among them Jorge Luis Borges. First published in 1948 during the polarizing reign of Juan Perón, the novel was hailed by Julio Cortázar as an extraordinary event in twentieth-century Argentine literature. Set over the course of three break-neck days, Adam Buenosayres follows the protagonist through an apparent metaphysical awakening, a battle for his soul fought by angels and demons, and a descent through a place resembling a comic version of Dante's hell."